Comfort Pillowy soft earcups and well calibrated headband tension make for a pair of headphones I can wear for hours sans fatigue. Sound After the recent software update, the Everest Elite sound marvelous with punchy bass and plenty of volume. Noise cancellation The default noise cancellation mode works flawlessly, significantly dampening ambient noise. Cables MicroUSB charging is a bummer to see in the era of USB Type-C, but forgivable. The non-standard 2.5mm Aux-port is a greater annoyance, if you were to lose the cord on a trip it would be a much bigger pain to replace. Build quality For headphones that started at $300, these feel a little too pedestrian and plastic. I'm not wowed by their construction and the bundled cables feel pretty cheap too. Ambient awareness Having variable levels of noise cancellation is a cool idea, but the distinct hissing sound that accompanies this feature lessens its appeal. 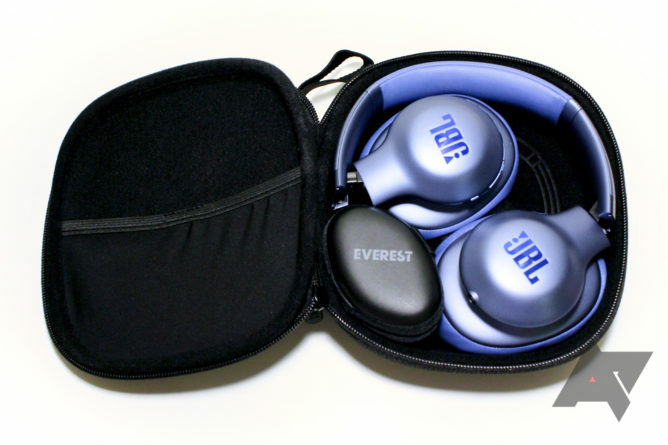 The Everest Elite 750NC headphones are easily recognizable as a JBL product. Even sans the large JBL logos emblazoned on each ear cup, I'd know in a heartbeat who makes them. They feature the brand's trademark sleek design, with loads of rounded edges and a subtle glossy sheen (like a dolphin). I think they look alright. They are not the most striking headphones on the market, but they aren't offensive either. The Everest Elite are constructed entirely of plastic (except for the Everest badge above each cup), which keeps the weight down, but they do lack a smidge in premium feel as a result of that design decision. The headband attaches over the top of the earcups, with a socket joint fusing the two parts. This lends the earcups greater flexibility to conform to the shape of the wearer's head but also makes for a bulkier overall package. The added width to the headphones makes them somewhat impractical to wear while resting your head on its side, either in bed or while traveling. The controls on the JBL cans are not my favorites. They are all clustered together on the thin edge of the headband over the right earcup. At the top is the sliding power switch, followed by volume controls with a play/pause button sandwiched in between. Further down, near the base of the headband, you'll find a Bluetooth button as well as the Ambient Awareness button - more on that later. With the buttons being so thin, it is challenging to distinguish between them all. A couple of them do have small raised nubs to aid tactile awareness, but even with those bumps, I had to remove the headphones several times during initial testing to make sure I was pressing the correct button. Feedback from the buttons is adequate, but they do wiggle a lot in their sockets. Overall, not a big fan. Yes, I got used to them, but they are still too small and fiddly. Besides the controls, a MicroUSB charging port and 2.5mm headphone jack (not sure why JBL opted for a non-standard size) are found at the bottom of the headband on the right and left side, respectively. The included cables are both adequate, but nothing special. I would prefer cloth-wrapped cords, and perhaps a Type-C connection at this price, but besides being a bit kink-prone, the cables are adequate. 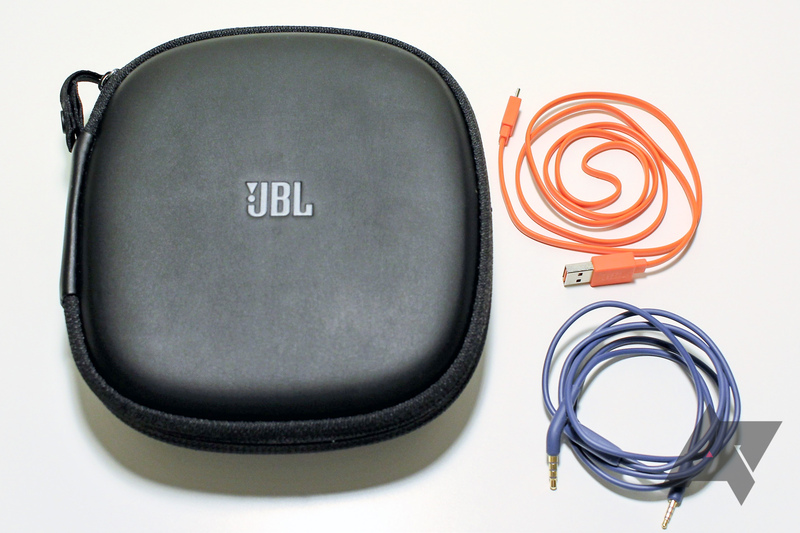 A delightful semi-rigid carry case comes bundled with the headphones. It has a handy diagram in the bottom to demonstrate the proper way to fold the Everest (it's pretty non-conventional) and a little egg-shaped secondary case for the charging cord and Aux cable. Two pouches, one on the interior and one on the back of the exterior, are convenient for stowing the headphone cable when in a hurry. There's also a strap with a button on it that's great for attaching the case to a backpack, duffel, or a gauged earlobe. It's a small thing, but I dig it. 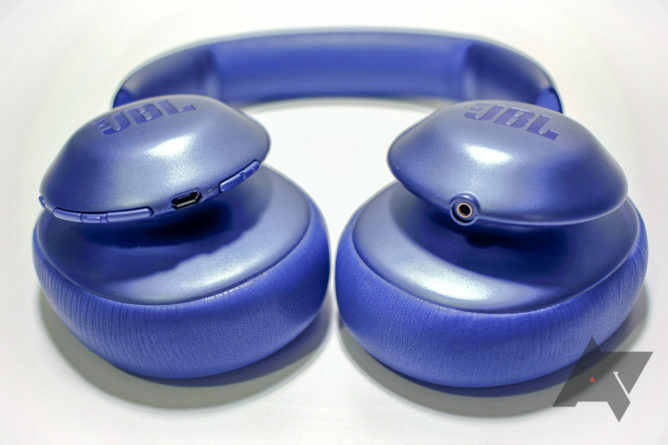 The combination of plush memory foam earpads and swiveling cups makes for a very comfortable set of headphones. They aren't entirely on par with Bose in feeling like clouds on your ears, but they aren't bad. I could wear them indefinitely without fatigue. The headband expands an impressive amount and should fit even the largest of heads (ahem, David). With my mid-size noggin, I only had to extend the strap a couple of clicks to find my ideal fit. The band itself is padded, but I feel it could use a couple more millimeters of foam to enhance the comfort. The arch has the perfect amount of tension, holding the cups to the sides of my head securely without feeling like a clamp. The only other critique I have is that the pillowy earpads can get a bit stuffy on a warm day. Fortunately for me, I live in Seattle, so that's not something I encounter often, but it's something worth noting for those of you in warmer climates. Now for the bit that matters most. Looks and fit are important considerations, but the sound is the paramount feature. These are fun headphones to listen to, especially when cranking a heavy bass track. Music is vibrant and lively, with plenty of punch. The pounding bass could afford a little more control as it tends to drown out mids and some of the more delicate details in some tracks. Fortunately, the default EQ levels are easily changed with the JBL My Headphones companion app, so if you prefer a more balanced sound signature, or perhaps even more low end than the default, it's easy to change. I'll also note that a recent software update significantly improved the detail and balance of the headset, so be sure to update the firmware if you pick up a pair. 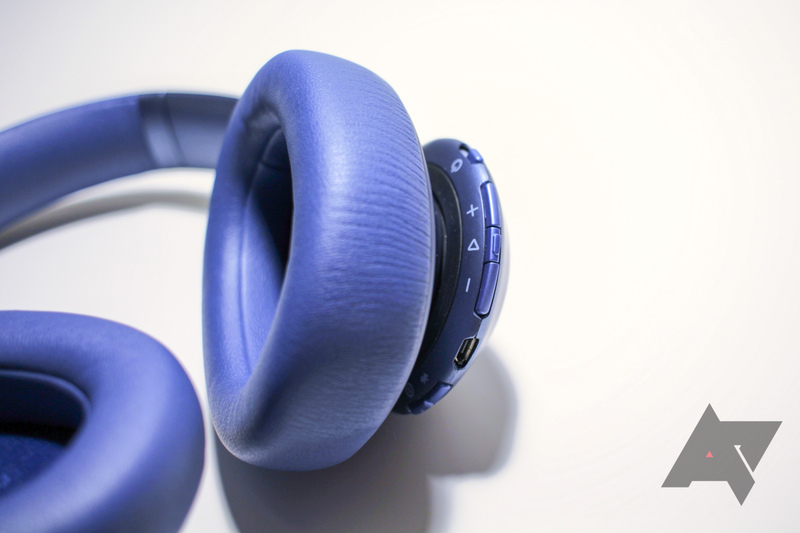 Noise cancellation works wonderfully on the Everest Elite 750NC. I particularly like that you can choose between multiple levels of ambient noise awareness, which lets in some outside noise so you aren't completed isolated from your environment. The preset levels can be further manipulated to your preference in the JBL app with very granular control; you can even adjust the ambient noise level of each ear cup independently (though I'm not sure why you'd want to). Hitting the Ambient Awareness button cycles through the different levels so that you can find the perfect balance for your current activity. A high amount of awareness is perfect for walking through the city, and the low setting is ideal for drowning out the sound of noisy kids (as a father of three, I appreciate this). There are a couple of downsides to the Ambient Noise Cancellation. First, music loses a touch of its liveliness when ANC is engaged, but that's somewhat typical. Second, there is a fair amount of NC hissing, which once again, is a common issue with NC headphones. It's not perceptible at all when you are thumping out tracks at high volume, but when listening to an audiobook or a more gentle musical number, it's readily apparent. Interestingly, the higher you crank up the noise cancelling, the less the hiss is noticeable. When at maximum cancellation the hiss disappears almost entirely. So, if it bugs you, turn it on full blast or leave it off. The Everests also are quiet for those who are not listening to them, with no noise bleed at low volume, and only the slightest amount at higher volumes. Your partner or roommate will likely appreciate this as much as I do. Are the Everest Elite headphones near the top of my list of headphones I recommend? A week ago, they wouldn't have been, but thanks to a software update and a recent price drop, they are now a far more attractive proposition. The excellent carry case, comfy fit, and very respectable noise cancellation make them a great travel companion. That is if you can overlook some lousy buttons and build quality that is a smidge underwhelming. 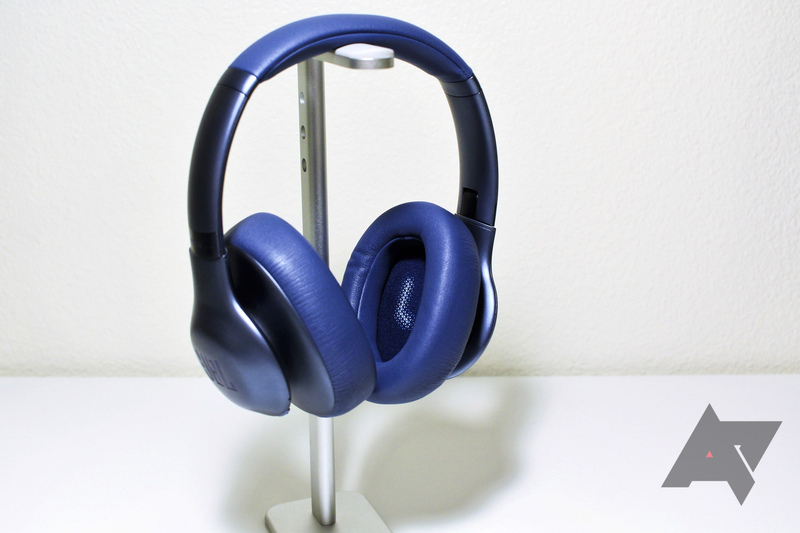 I haven't tried a pair of Bose QuietComfort 35 headphones to compare them against, but I've read that the Bose sound excellent, are incredibly comfortable, and have Google Assistant baked in. 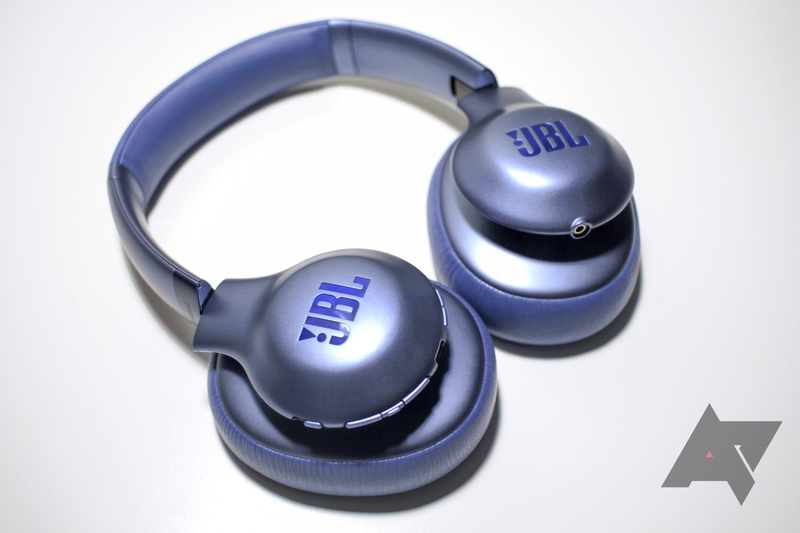 They are also a lot more expensive at $349 compared to the JBL Everest Elite 750NC which initially sold for $299, but now can be found for just $229 (I'm not sure if this is a temporary or permanent price drop). My advice, as always, is to find a place that you can try them on for yourself along with any other headphones you are considering. Your ears and head are the best judges of what's right for you. 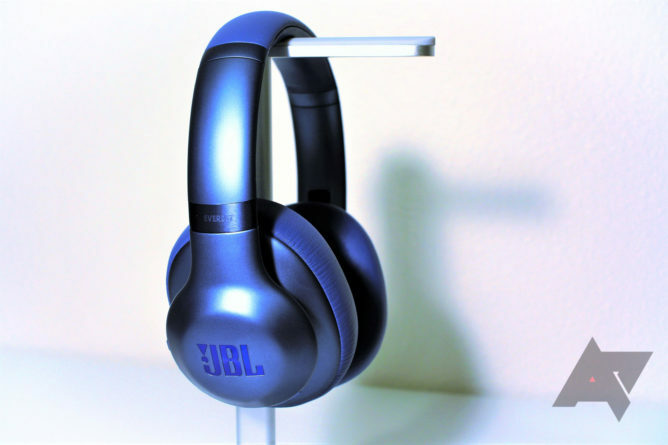 The JBL Everest Elite 750NC are available in gunmetal, mountain silver, and steel blue (the color I reviewed), head over to JBL, Amazon, or Best Buy to check them out for yourself.